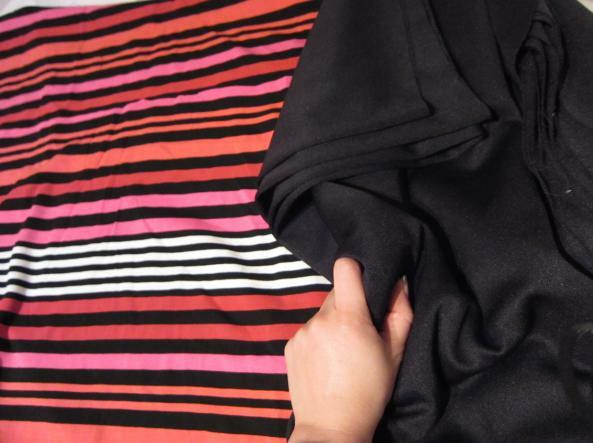 Tricot with orange-pink-white-black stripes, added the black fabric as a skirt. 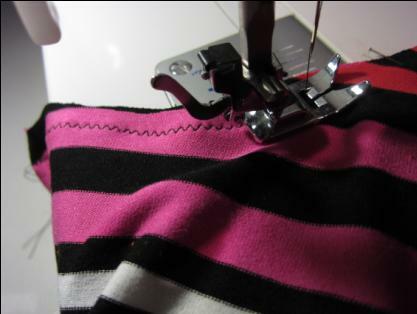 Tricot: always sew zigzag with a small stitchlength. 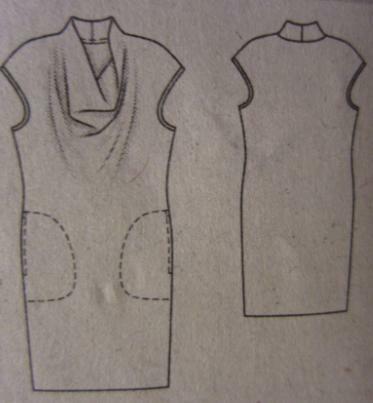 Iron vlieseline on the sides of the armholes to easily fold and sew with a twin needle. 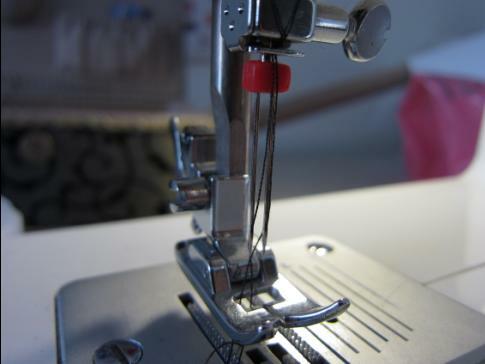 The twin needle provides a professional finish! 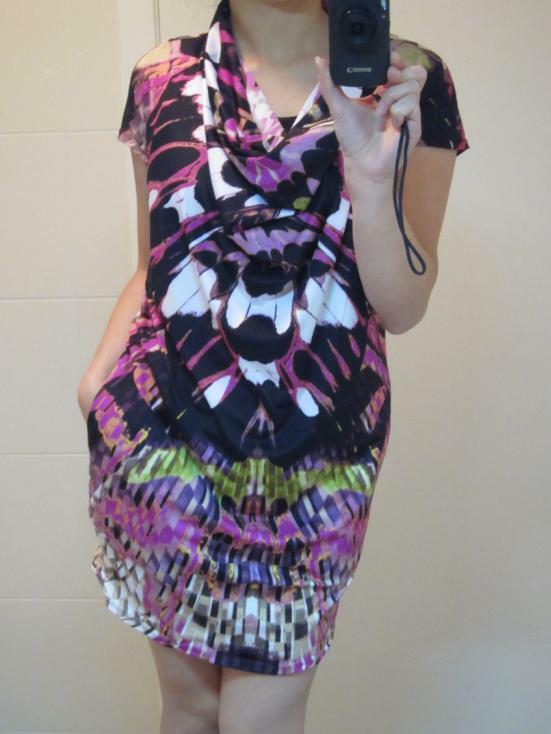 Not quite the same as on the photo in the beginning but my fabric wasn’t enough to make long sleeves =).